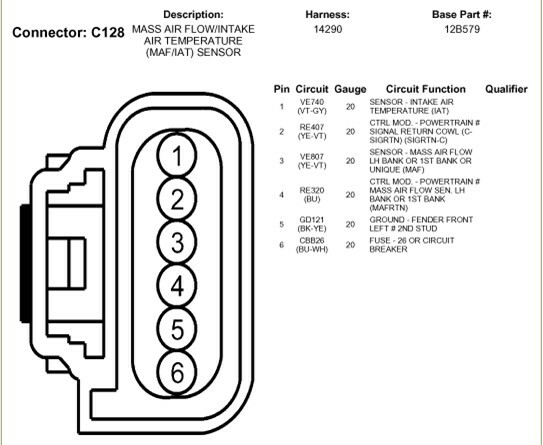 I have a 2009 ford focus ses 4 cyl and I need the wiring diagram for the MAF/IAT and what the wires function. Thank you for asking your question on JustAnswer. Enclosed is the connector and the pin out as well. I need to know which two wires to connect my g force chip.